From Wikipedia: "The King of Fighters '96 is a 1996 fighting game released by SNK for the Neo Geo arcade and home consoles. It is the third game in The King of Fighters series, following The King of Fighters '95. Like its predecessor, the game was ported to the Neo-Geo CD, as well as the PlayStation and Sega Saturn. Unlike the previous game, the PlayStation and Saturn versions were released only in Japan, with a language setting allowing the player to set the game to English. It is also part of the compilation The King of Fighters Collection: The Orochi Saga for the PlayStation 2, PlayStation Portable and Wii. It was also released on the Wii Virtual Console in Japan on February 15, 2011, in North America on July 12, 2012 and in the PAL region on November 22, 2012." 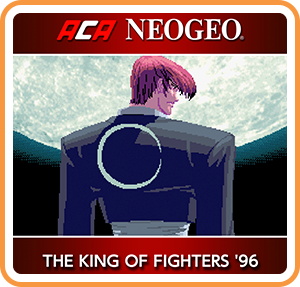 Where can I buy ACA NEOGEO THE KING OF FIGHTERS '96 physical/digital?